SR-Series imagers are fixed-site thermal cameras that come in ruggedized, all-weather enclosures that are compatible with a wide variety of third-party accessories, making them easy to integrate. SR-Series cameras define the new standard of performance with five models with full 640 × 480 thermal resolution that give you greater image detail, more extensive coverage, and better analytics performance than ever before. 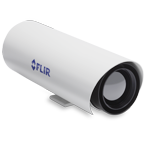 F-Series high-resolution thermal cameras are fixed-site cameras that give you video and control over both IP and analog networks. 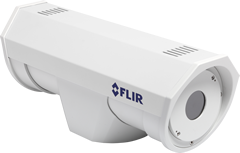 F-Series cameras define the new standard of performance with five models that provide full 640 × 480 thermal resolution to give you greater image detail, longer detection ranges, and better analytics performance than ever before. 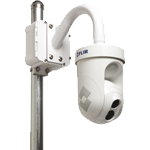 FLIR’s PT-Series of high-performance, multi-sensor pan/tilt cameras bring thermal and visible-light imaging together in a system that gives you video and control over both IP and analog networks. The PT-Series’ precision pan/tilt mechanism gives you accurate pointing control while providing fully programmable scan patterns, radar slew-to-cue, and slew-to-alarm functions. 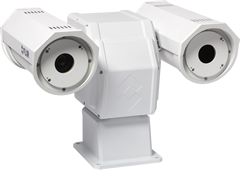 PT-Series cameras define a new standard of performance with five models that provide full 640 × 480 thermal resolution. 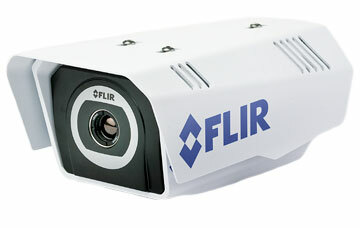 D-Series thermal cameras let you see clearly in total darkness and in bad weather. The D-Series outdoor dome enclosure provides precision pan/tilt control while providing fully programmable scan patterns, radar slew-to-cue, and slew-to-alarm functionality. Fully enabled for control and operation over IP and serial networks, D-Series systems let you deploy a thermal imager with either 640 × 480 or 320 × 240 resolution, and a day/night 36× zoom color CCD camera. The FC-Series of thermal cameras is a direct replacement for your legacy video cameras and works with your existing processor, so you can get more accurate detection, improved data collection, and safer operations without having to change the rest of your system or spend money training your operators on a new system.